We don’t have too many details at the moment beyond these tantalizing CGI development screen shots, but Kitty Hawk’s other kits are pretty good, so this upcoming Cold War and Vietnam War warrior ought to be something worth waiting for. The model will be a biggie when it comes, as the Voodoo was a largish beast - to 1:48 scale, the model should measure some 438mm (17.2in) long with a wingspan of 250mm (9.8in). Talking of Monogram’s old kit (below), two items that really shone were the well-sculpted crew figures, so it will interesting to see whether a pair are provided with the new kit, and if so, how they compare. The F-101 was developed in the 1950s, and set a number of speed records, including a JF-101 testbed aircraft that flew at 1943.4 km/h (1207.6 mph) on December 12, 1957, beating a previous record of 1811 km/h (1132 mph) set by the British Fairey Delta 2. 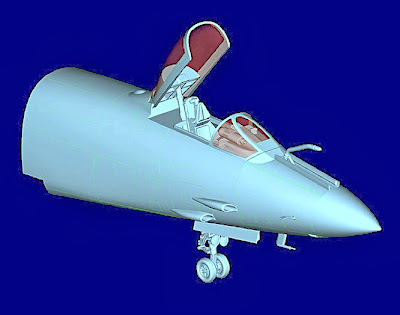 Other winning achievements included coast-to-coast US flights the same year. 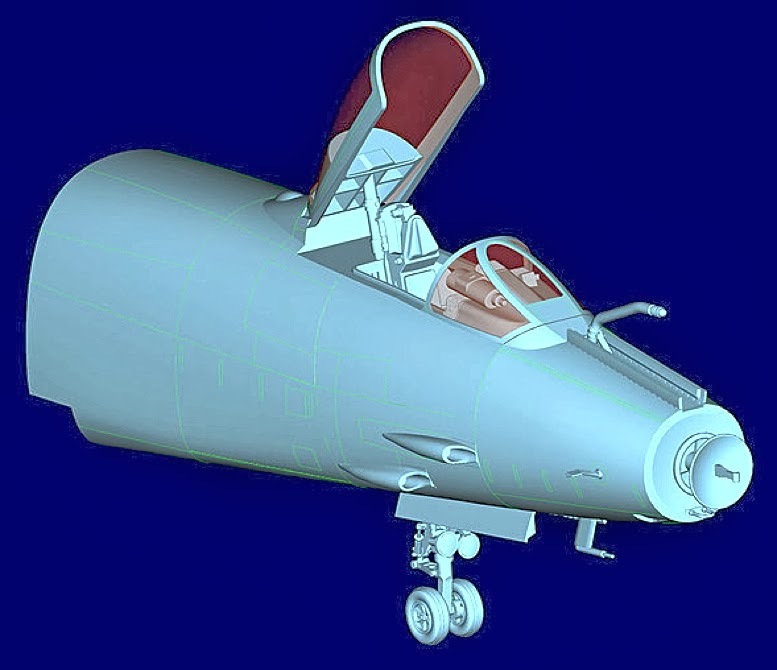 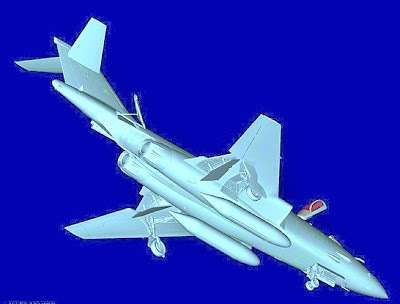 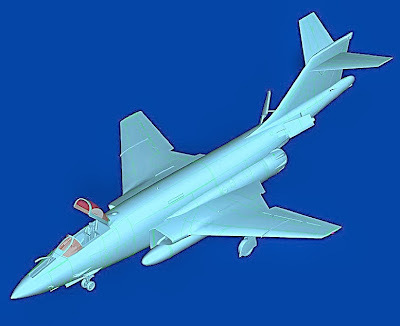 Variants include the somewhat more elegant extended nose RF-101 (below), a photo-recon version that carried up to six cameras. 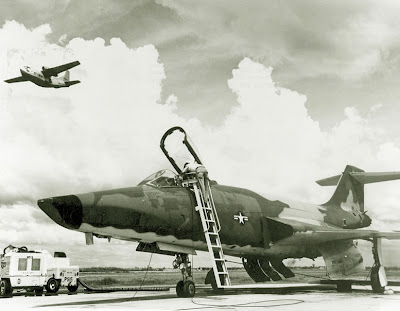 The one shown here dates from Vietnam War days, and note the Fairchild C-123 Provider cargo plane flying overhead. 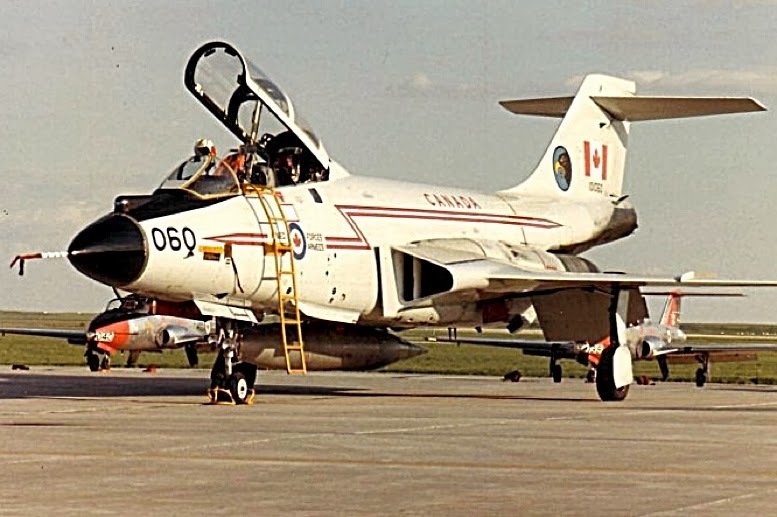 Canada flew the two-seat CF-101B interceptor (below) for 26 years after the type's introduction to the Candian Armed Forces (CAF) in 1961. 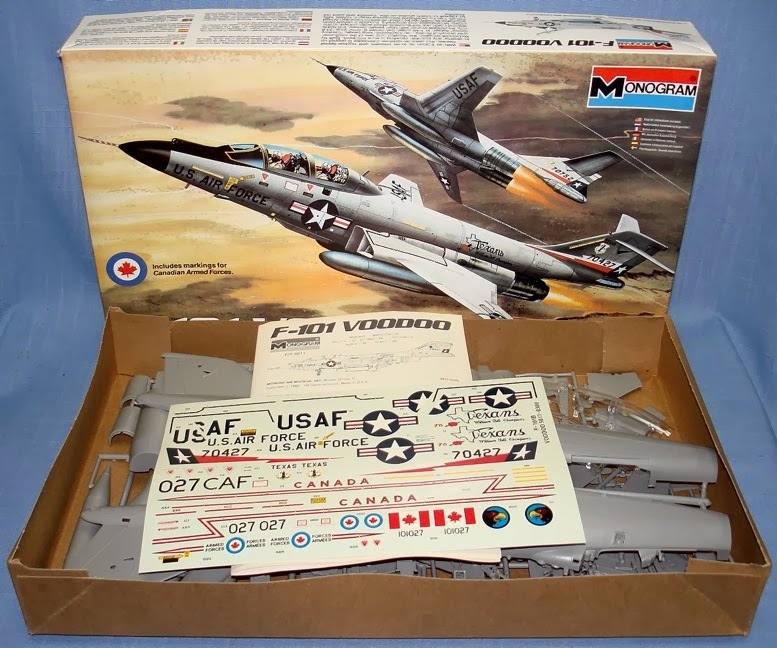 Monogram kit pic courtesy Vintage Toys for Sale. 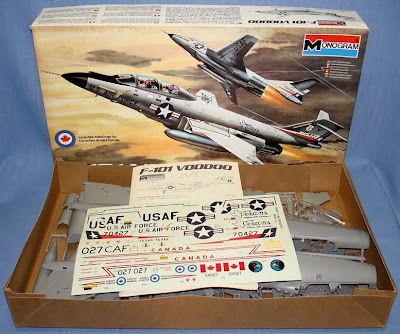 More F-101 Voodoo kits here.